Half Moon, one of Jamaica’s most iconic resorts, is celebrating its upcoming 65th anniversary with a $75 million revamp, which is slated to be complete by November 2018. In 2015, Half Moon completed the first phase of its Master Plan Renovation, which included refurbishments of its award-winning Surgar Mill Restaurant, resort lobby, Robert Trent Jones Sr.-designed golf course, and the introduction of Lester’s Cafe. Opened in 1954, Half Moon is an independently-owned, 400-acre resort located on Jamaica’s north shore, 10 minutes from Montego Bay’s Sangster International Airport. 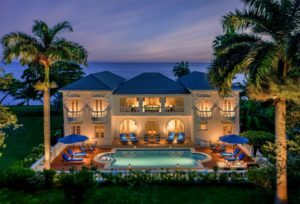 The AAA Four-Diamond property has 197 guestrooms and 31 villas (ranging up to seven bedrooms), all with private pools and personal staff (butler, cook and housekeeper). Amenities and activities include the multi award-winning Fern Tree Spa (the largest spa in the Caribbean); Spinning® classes, 11 lit tennis courts, equestrian centre, fitness centre, water sports, children’s village and a Robert Trent Jones Sr.-designed 18-hole championship golf course with academy.